First of all for what do you need the tool saptune? Why you have to configure all this parameters? SLES for SAP Applications 12 SP2 now ships with the system tuning utility saptune. In addition to saptune, the package sapconf contains the basic utility sapconf. sapconf also allows tuning for SAP systems but is less comprehensive and offers less granularity than saptune. However, unlike saptune, sapconf is available directly in SUSE Linux Enterprise Server and thus not dependent on using SLES for SAP. sapconf and saptune both rely on the daemon tuned to set tuning configuration but they use different (though at times very similar) tuning profiles. Therefore, only one(!) of sapconf _or_ saptune can be enabled at a time. If you have installed your SLES system with the SAP installation wizard the correct profile is already used. 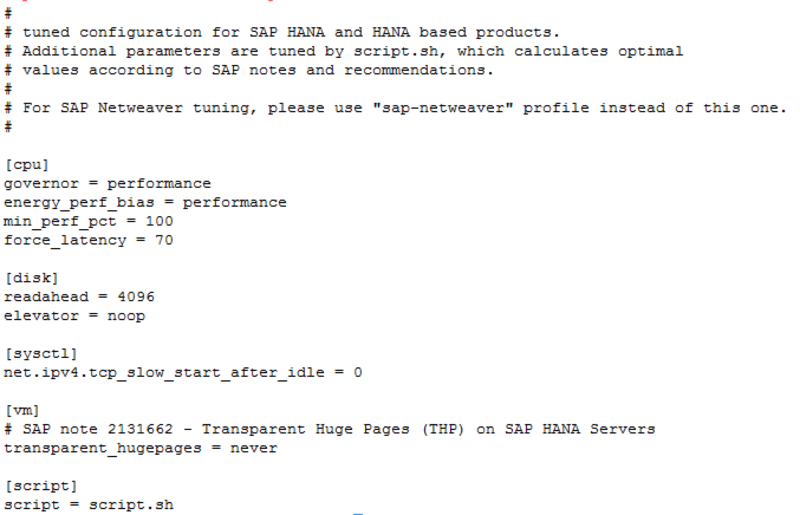 For both tools check out the official SAP documentation in note 1275776. You can apply, simulate, verify, customise and revert such notes. You can also combine solutions and notes. If you want to add sysctl kernel parameter from other vendors (e.g. 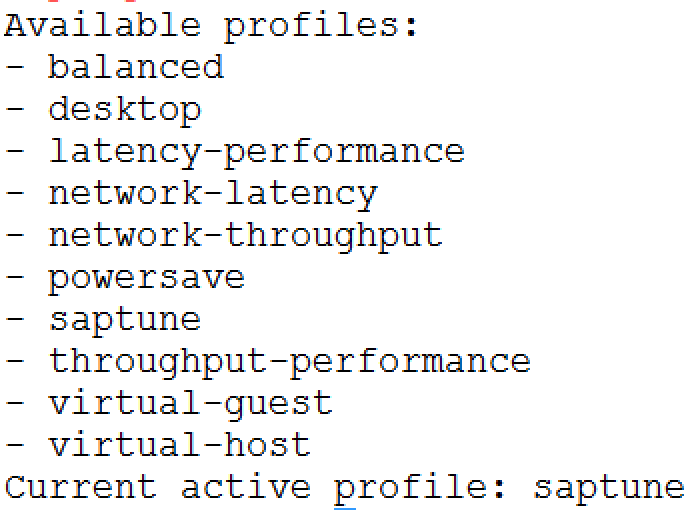 VMware for virtualization or NetApp for storage), you can set them in your own profile. Just look into their best practise guides for the recommended parameters. This is only possible with sapconf! This is not the same! Saptune is shipped with only one profile: ‘saptune’. The other profiles like sap-hana, sap-netweaver, sap-bobj and sap-ase are coming from sapconf and have nothing to do with saptune. “saptune daemon start” (you show this comman a few lines later) will set the saptune profile and start/enable tuned. To check the enabled notes/solutions ‘saptune note|solution list’ has to be called. Again. This is valid for sapconf not saptune. 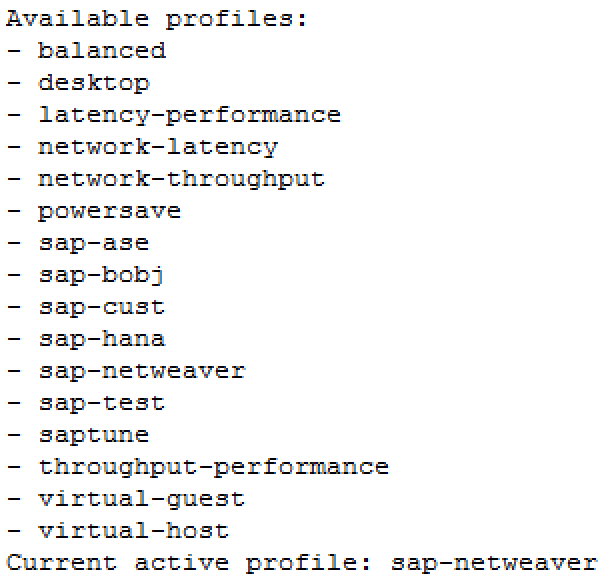 Later on you show how to edit your own profile, but again on a sapconf tuned configuration. One advice. If own options are added, it should be checked, that they don’t interfere with settings made by the script (in our case saptune or sapconf). thanks for the input! This is fully correct, but if you don’t uninstall sapconf everyone gets this views and status output of the commands. The blog was originally written for both tools, so may be the title is a bit misleading. 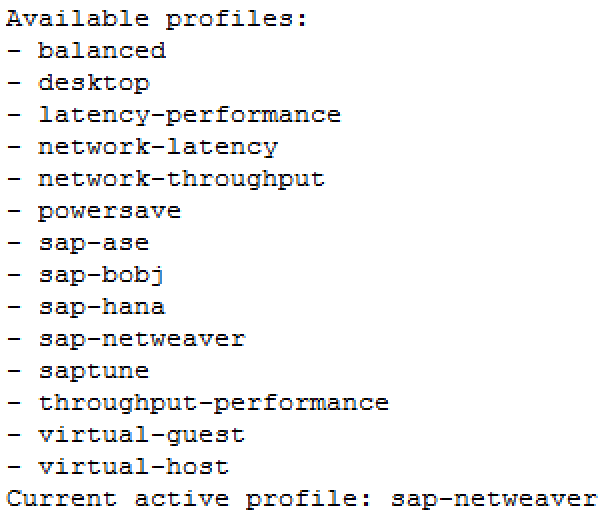 If you uninstall sapconf you will get a better view of what is part of saptune. But to avoid further confusions I will edit the blog and the screenshots in the next weeks for both tools. To rework this is on my list for next week. Got me! The wording is not quite clear I guess. 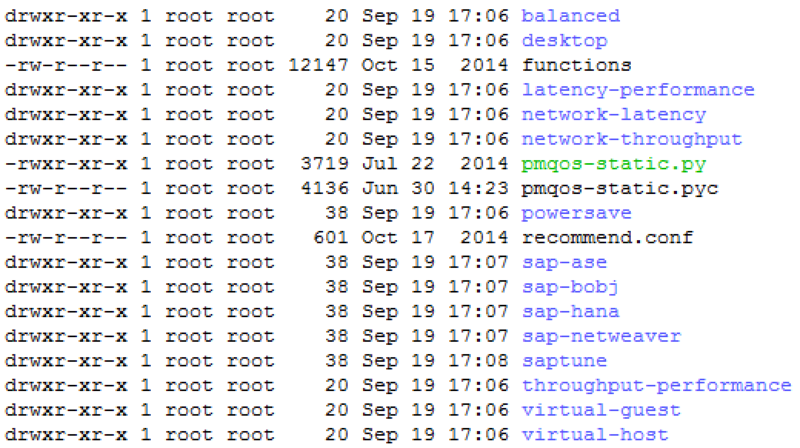 I have rewritten SAP note 1275776 for the sapconf/saptune purpose. May be you want to have look…. good job! A real documentation in context of SAP usage was missing a long time. Good examples with practice relvance. I have edited my blog and linked your blog series. Also nice to see the dependencies of the tools and daemons. I’m looking forward to use the reworked sapconf version in my next projects. The parameters of the profiles are better documented in contrast to saptune.